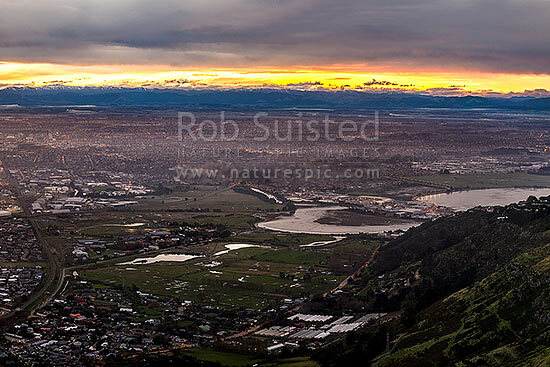 Christchurch City and Canterbury plains sunset from the Port Hills, on a calm winter evening. Avon and Heathcote Estuary and Pegasus Bay at right. Kaikoura Ranges distant, Port Hills, Christchurch, Christchurch City District, Canterbury Region, New Zealand (NZ), stock photo.